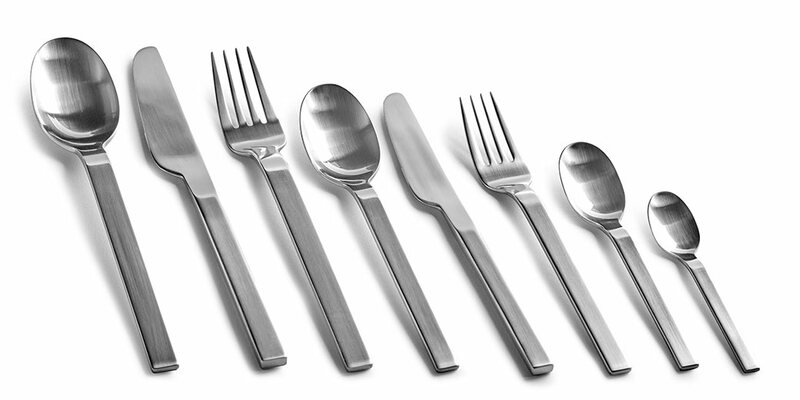 Sleek, essential and functional are the main aspects to look for when buying cutlery for the modern home. And they all apply to this exclusive cutlery from Serax, which has become one of my favourite minimalist cutlery sets of all time. Embodying functional minimalism, it is an undoubtedly beautiful cutlery range that is guaranteed to impress. The Piet Boon by Serax Base cutlery collection carries through the same pure and honest characteristics as the previously eponymous tableware line: a seemingly simple yet refined design, it is understated, aesthetic and elegant. Managing to be effortless and sophisticated at once, the cutlery has a pure and precise beauty. The clean-lined design gives the cutlery modernity whilst the lack of detail lends it timelessness. With its modern look, the Base cutlery set is perfect for both that stylish table setting and to add some understated elegance to everyday dining. Made from a single piece of premium quality stainless steel, the Piet Boon cutlery has a well-balanced design and is comfortable to use. I love the minimalist approach of reduction while preserving functionality, allowing one to focus on the real essence of the object: truly stunning design. Dining with this cutlery is not only a gustatory pleasure, but also a visual one. Make meals an elegant affair with the beautifully designed cutlery set.